It is twice the size of the Eiffel Tower and seventy two feet higher than the Statue of Liberty but has greatly divided opinion among those who appreciate a sublime combination of art and engineering. 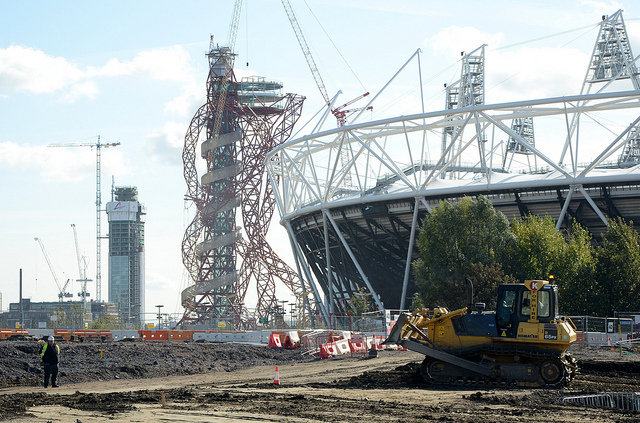 Yet, love it or loathe it the construction of the ArcelorMittal Orbit was completed last week. 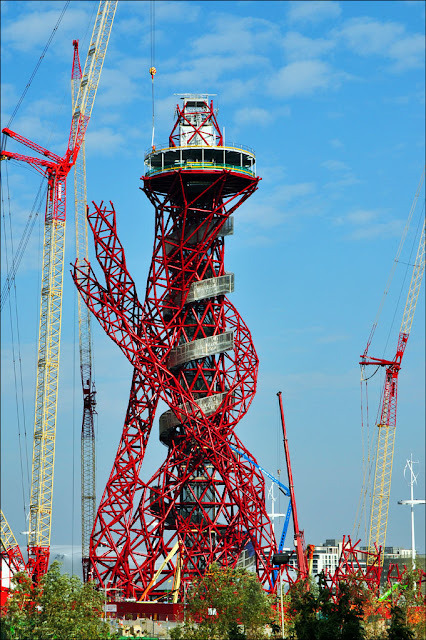 Planned as a habitable sculpture the tower is the architectural landmark of the 2012 London Olympic Games. 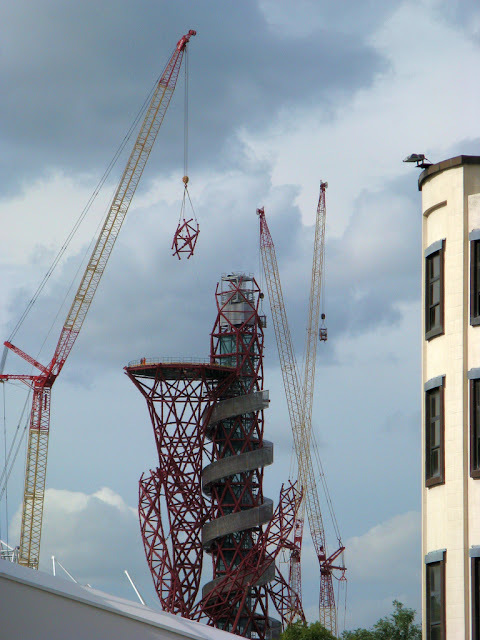 Its creators hope and believe that it will become another of London’s iconic structures and be climbed by generations of visitors. 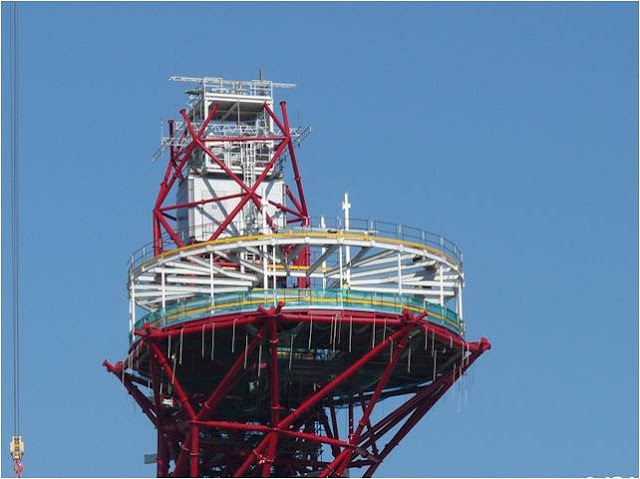 Work began in February and the top loop of the tower was put in to place last Friday, 28 October 2011. This had followed several days of delay as the winds had been too strong for the four man team to hoist the top ring up and slide it in to place. 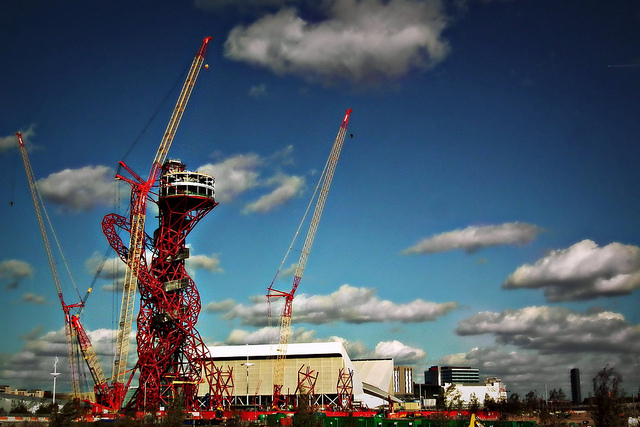 Its adherents, including London Mayor Boris Johnson hope that its presence in the English capital will thrust architecture in to new areas of adventure. Yet some observers find the spectacle of the tower somewhat disquieting. Its price is rather unsettling even though it had been planned and budgeted for in advance of the ravages of the economic recession which has seen budgets cut for education and health in the UK. 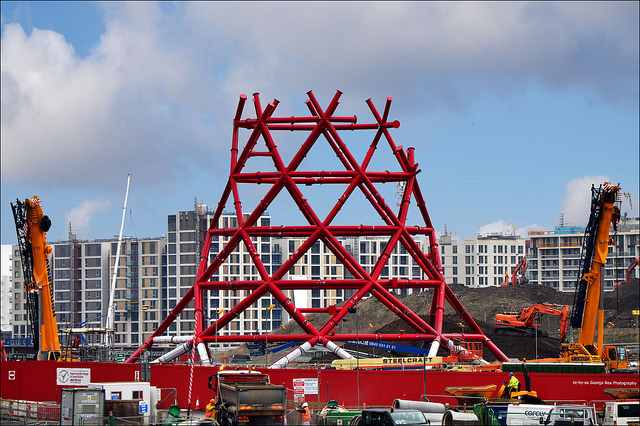 Its £22.7m (over $US36m) cost has led its detractors to claim that it will be the most expensive (and only) publicly funded squashed rollercoaster in the UK. Yet it does have to be pointed out that 19.2 million pounds were funded by ArcelorMittal, the international steel and mining company. 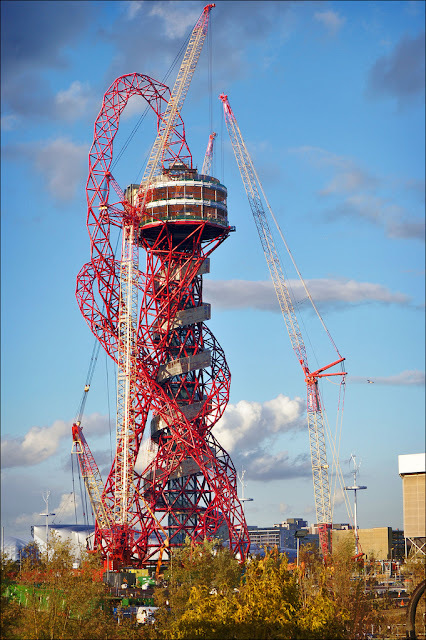 Others, however, can’t wait to set foot on its two observation deck and enjoy the promised spectacular panoramic views of London. 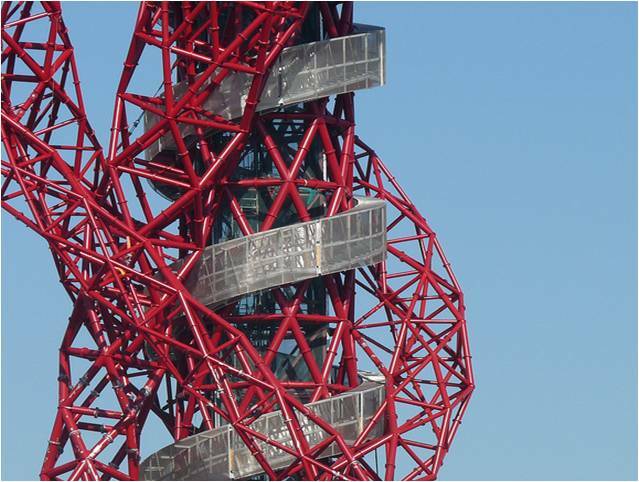 Designed by London-based and hugely popular artist Anish Kapoor, his design of ruby red looping lattices of tubular steel was the winner of a contest for the major art venture to both welcome and celebrate the forthcoming games. London Mayor Boris Johnson, who is not completely unknown for making hyperbolic statements, said “It would have boggled the minds of the Romans. It would have dwarfed the aspirations of Gustave Eiffel, and it will certainly be worthy of the best show on earth, in the greatest city on earth.” It remains to be seen whether this significant structure strikes a similar chord with the rest of humanity.